Johnson Controls, worldwide leader in the manufacturing of lead-acid batteries, has developed a battery with the most advanced technology: Absorbent Glass Mat (AGM). 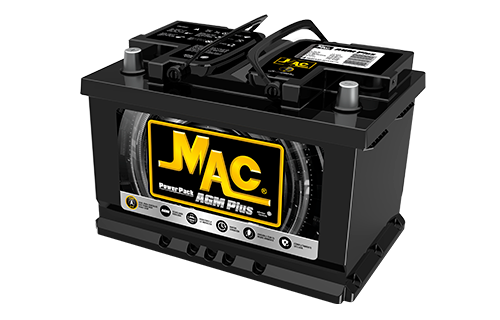 With your MAC® AGM Battery you can forget constant revisions. This battery is maintenance free. Made in Germany in the world´s largest AGM production plant with the highest quality standards to ensure high energy demands. The MAC AGM Battery offers the market a twenty four fifteen (24)* month warranty (Applies to private vehicles), and if it were necessary for you to use the warranty, filling out the following form will get you in touch with the authorized distributor in your country. 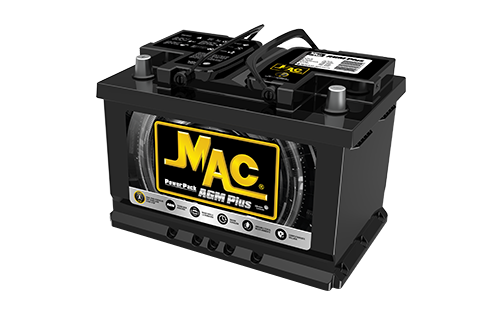 MAC® AGM is the best lead-acid battery, its advanced technology makes it more reliable, long lasting and powerful, ensuring the best performance to endure the high electrical demands of vehicles with Start-Stop technology. 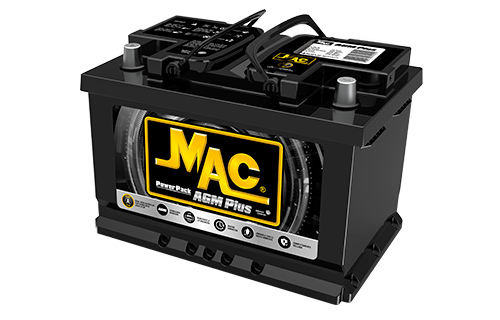 MAC® AGM PLUS IS IDEAL FOR WHAT VEHICLES? What are the main characteristics of a MAC® Gold Plus? Offer the best for your car with the MAC® Gold Plus battery, an option for your lifestyle. Developed to offer high standards of quality and performance.